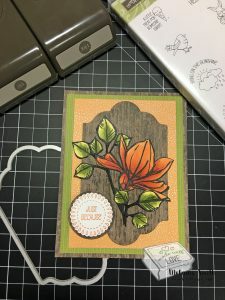 Tips & Tutorials using Toil & Trouble Suite By Stampin’ Up! 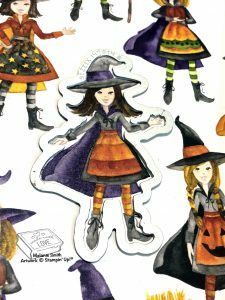 Now I have to admit to all of you that Halloween is not a holiday I usually make cards for but when I broke into this bundle and began playing and I felt obligated to share this set with you. I wanted to continue making items….it was addictive for sure! wouldn’t this suite be great for Halloween treats at school for elementary students? I would like to share a fun tip and a tutorial today with all of you. 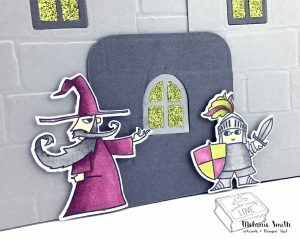 First up in the coordination that this bundle has with the Toil & Trouble Designer Series Paper. Check this out…. The dies to this bundle coordinate with the papers…. The witch, witches hat (See Monday’s Post), the cauldron, the cat, the frog etc etc. Now how cool is that??? 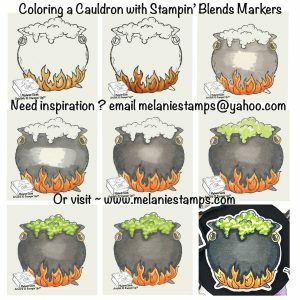 Speaking of Cauldrons… I have a quick coloring tutorial for all of you. 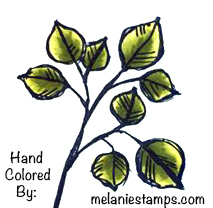 I colored this cauldron step by step using Stampin’ Blends. 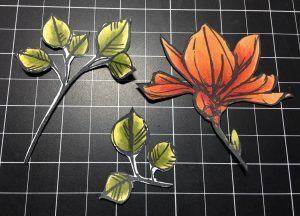 These Alcohol markers are perfect for beginners. 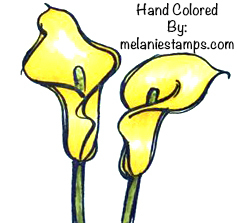 They have a light & dark shade for each color so there is no guess work as to which markers to use together. 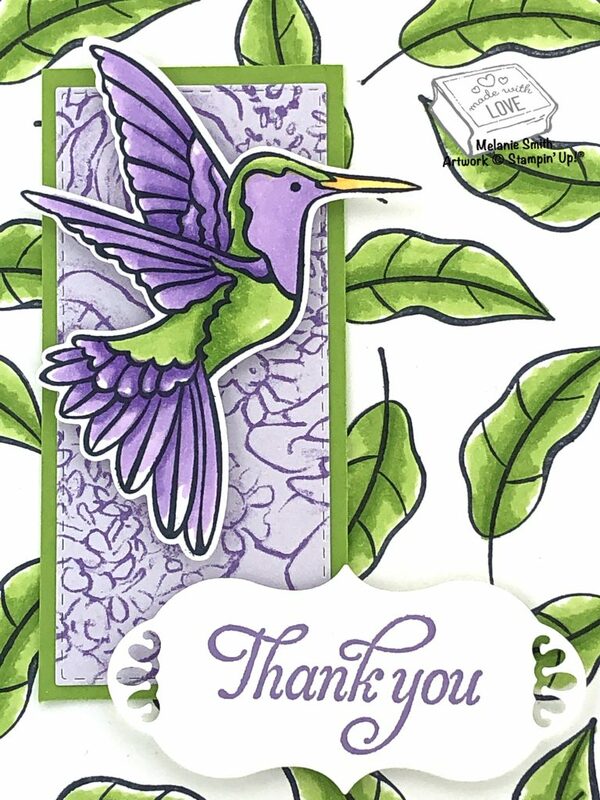 Today I have a quick card for you to create. 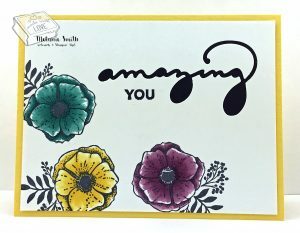 I am using the Sale A Bration Stamp Set titled “Amazing You!” It is a free stamp set with a $50 purchase from now until MARCH 31st!!! 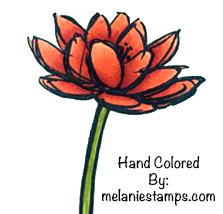 I have stamped the florals in Memento Tuxedo Black ink on THICK Whisper White card stock. This is VERY important when coloring with Alcohol based markers. 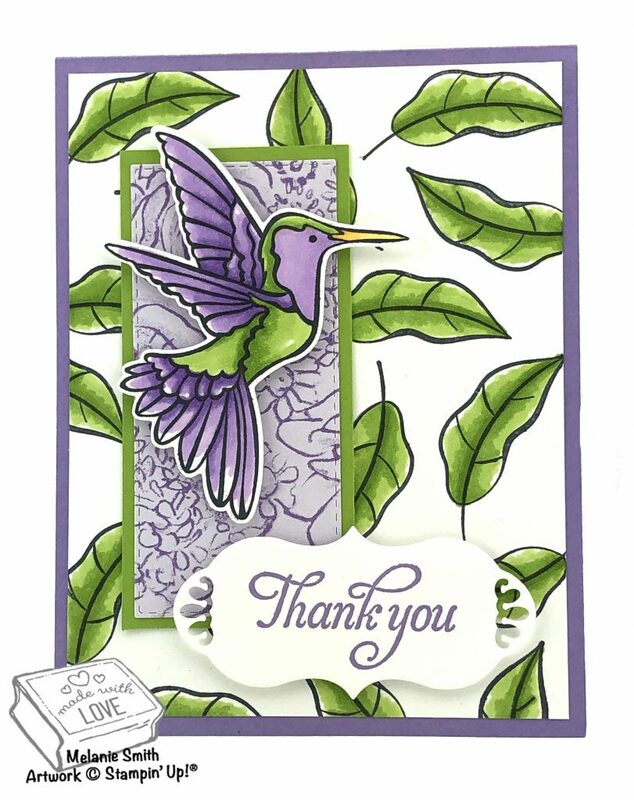 The word “Amazing” is die cut from the white card stock and the negative space is used. I simply added a layer of Basic Black card stock on the back. This allowed the negative space to be more evident because of the extra contrast. If you like this weeks projects consider purchasing them together to help you reach the $150 threshold. 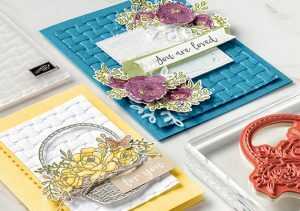 This will help you get both sets (Stamps & Dies) FREE! 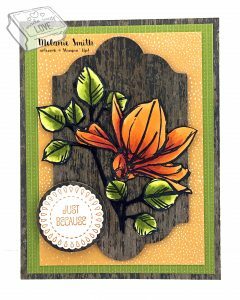 Plus you would also receive FREE Stampin rewards!! 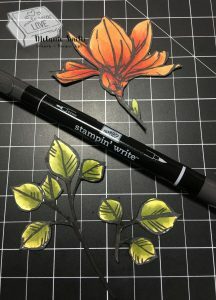 Consider the Stampin’ Blends used in all 3 projects, Thick Whisper White card stock up and a Memento Tuxedo Black ink pad and reinker. Plus the Bundle from Monday and the set that we will be using on Friday. Feel free to message me and let me know what you like and I can assist you as needed. 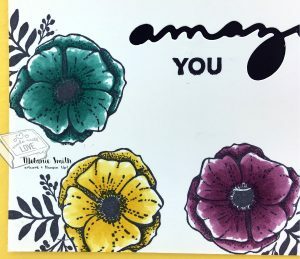 I personally love coloring with Alcohol Markers and would love to teach you how to fall in love it too! Welcome Back! 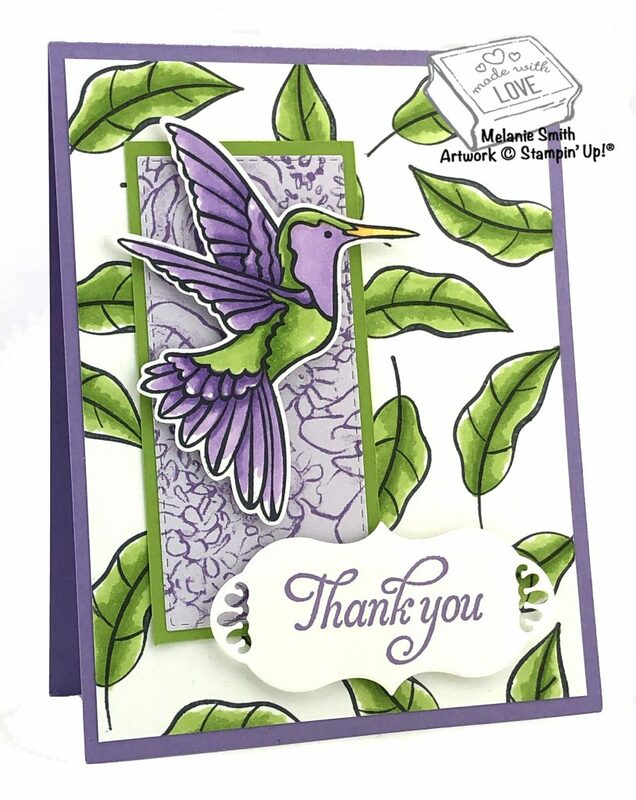 I hope you have enjoyed this week focusing on my favorite SAB FREE STAMPS! This, by far, is my favorite pick from this years FREE Sale A Bration items. This is the Blossoming Basket Bundle which is FREE with a $100 purchase from any of our catalogs. 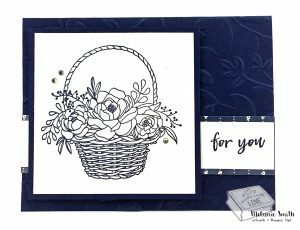 It includes this beautiful basket stampo set along with a basket weave embossing folder. If submitting an order online of $150 or less feel free to use March’s hostess code FCNV6MBW. 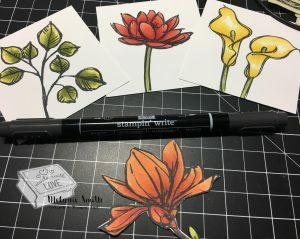 and here are some samples made by Stampin’ Up!® showing off this STUNNING set! 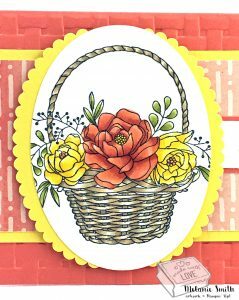 This first card that I designed is a simple card featuring the basket floral stamp from this FREE bundle. Using it this way is so classy as well as super easy. 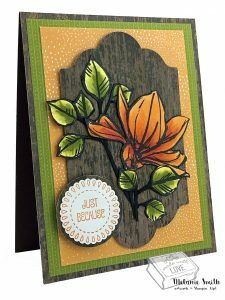 To jazz it up a little I have embossed the card base with the Layered Leaves Dynamic Texture Embossing folder and added a few Rhinestone Basic Gems. Oh where do I begin? This is an all time favorite card of mine. 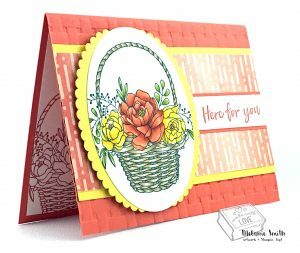 Beginning with the base card simply run the front of the card base through the Big Shot with this bundle’s FREE Basket Weave Embossing Folder. 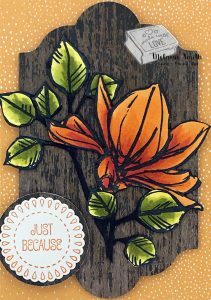 I used a piece of of designer paper from the Delightful Daisy Designer Series Paper. 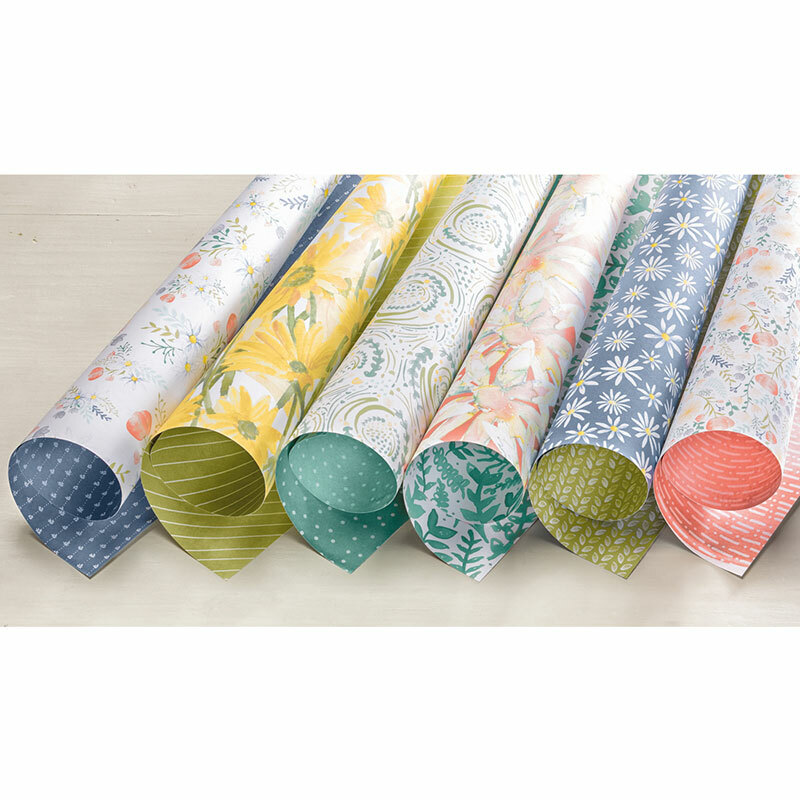 Here is a picture of the full paper stack… This paper has so many possibilities and there is also a Daisy Stamp Set/Punch Bundle. 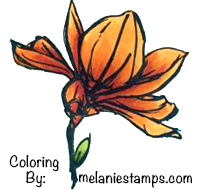 I have used the following Stampin’ Blends® marker sets for this project. 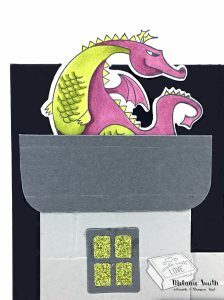 After coloring the image it was die cut out using the Layered Oval Framelits. For the scalloped Daffodil Delight frame in the background I simply cut a scalloped oval and cut it down the center from top to bottom. 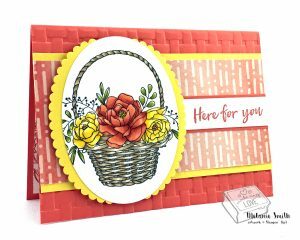 Peeking out there on the inside is a stamped basket from Calypso Coral Ink. This finished the card nicely. Want to learn more? Please consider clicking along the right tool bar and enter your email. You will get a gentle reminder each time I post a new project. 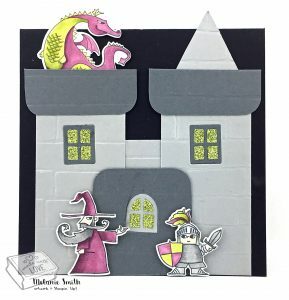 Last but not least I am here to share the castle shaped card I made with the Magical Day Bundle by Stampin’ Up!® This is a 5.5 x 5.5″ card base and the pieces for the castle are made from Basic Grey & Smoky Slate papers. 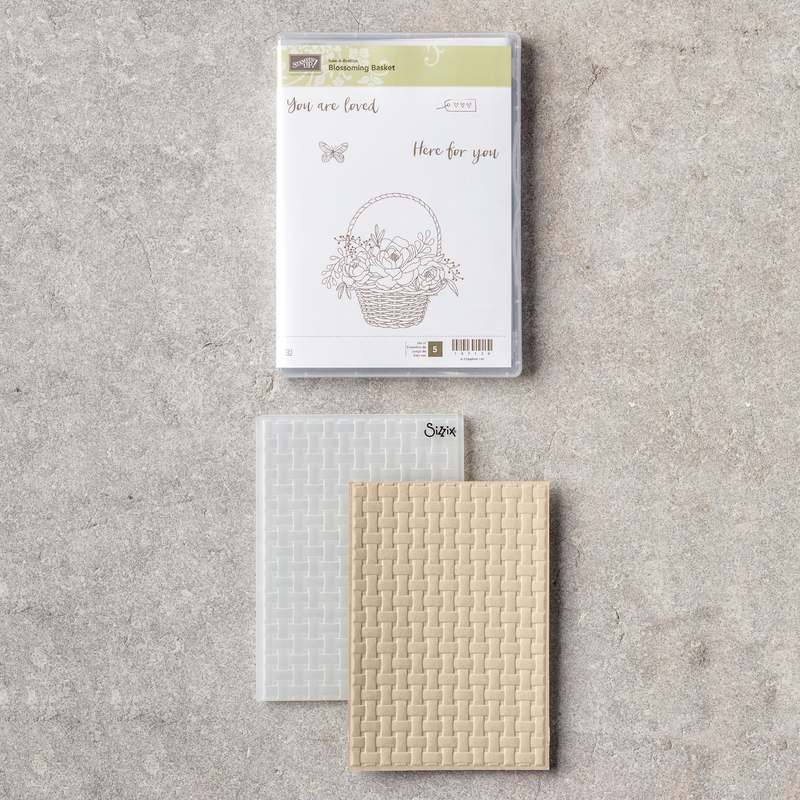 The Brick embossing folder by Stampin’ Up!® was also used before attaching the pieces to the card. 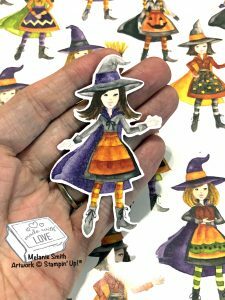 The stamps and dies came from the Magical Day Stamp set and I have colored them using the Stampin’ Blends® Alcohol Markers. Have you tried our Alcohol markers yet??? They are so fun to use. Here are some close up photos. Look at these light to dark shadows. 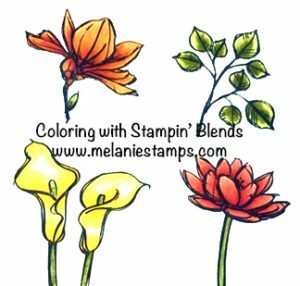 When working with Stampin’ Blends® you want to slowly build up your color. 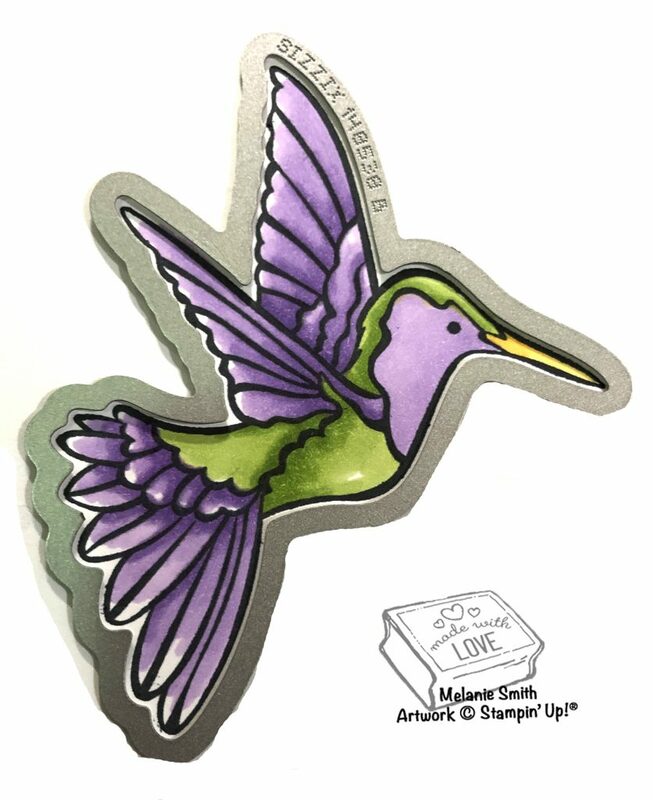 I was able to meet and speak to the artist who designed this stamp set when in Salt Lake City and I suggested he add to this collection because we need a prince and princess!!! Finally for the windows I used the Home Sweet Home thinlits. They worked perfectly for the windows and door. The Myth Glimmer Pad was also used for the windows.